Office 365 team has announced the public preview of the new Office 365 Network. Over the last three years, the Office 365 Network has become a vibrant online community for IT pros, technical experts, product enthusiasts and Office 365 customers to come together and share the best practices related to Office 365. The current Office 365 Network will permanently redirect to the new community starting September 1, 2016. Free Microsoft eBooks giveaway. Including: Windows 10, Office 365, Office 2016, Power BI, Azure, Windows 8.1, Office 2013, SharePoint 2016, SharePoint 2013, Dynamics CRM, PowerShell, Exchange Server, System Center, Cloud, SQL Server, and more. In this episode, Richard DiZerega discusses the weekly update and the Office Dev Show series getting started on Channel 9. Microsoft is announcing the free preview of Microsoft Stream, a new business video service that democratizes access to and discovery of video at work. Starting from July 18, 2016, anyone with a business email address can sign up for the preview in seconds and begin uploading, sharing and tagging videos in their organization. By taking the ‘work’ out of managing video storage and security, Microsoft Stream enables organizations and their employees to communicate and collaborate with video more easily. To help make appointment scheduling simpler and more efficient, Microsoft introduce a new Office 365 service called Microsoft Bookings. Microsoft team announces the public preview of certificate based authentication for iOS and Android for Office 365. This is the first public preview of this offer, but the solution is already relatively mature and some of Microsoft’s largest enterprise customers (many of them are “smartcard only”) are already using it to enhance the security when accessing company resources from mobile devices. Find out in the new post by Stefan Bauer. Some critical thoughts on the new Office 365 Community network by Tony Redmond. A new whitepaper from Microsoft is available. It describes the Conditional Access features in Microsoft Office 365 and Microsoft Enterprise Mobility + Security, and how they are designed with built-in data security and protection to keep company data safe, while empowering users to be productive on the devices they love. Here is some information about SharePoint framework that is interesting not only for developers, but for end-users. An introduction on how to use Microsoft Forms from Office 365 Education plan. A comparison of Office 2016, Office 365 and Office Online. This Pluralsight course by Vlad Catrinescu, SharePoint and Office 365 Consultant, will help you to take further your Office 365 Administrator skills by learning to automate repetitive tasks as well as access advanced settings using the magic of PowerShell. This is a roundup of some key Office 365 news items from the last month. The product group released the July 2016 Cumulative Update for the SharePoint 2013 product family. Read this post to find out more details about what is included. Facebook reached a deal with Microsoft under which the social network’s more than 13,000 employees will use elements of web-based workplace productivity suite Office 365. Slides from the presentation by Elio Struyf and Thomas Vochten about SharePoint search administration and development best practices. Slides from the presentation by Maarten Eekels about Office 365 Groups. 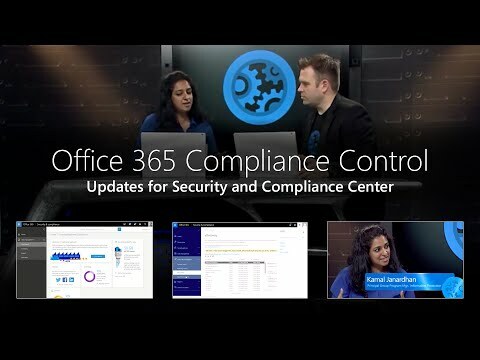 A look at the compliance side of the Office 365 Security and Compliance Center, the central place to view and manage your data – even beyond the Microsoft ecosystem. 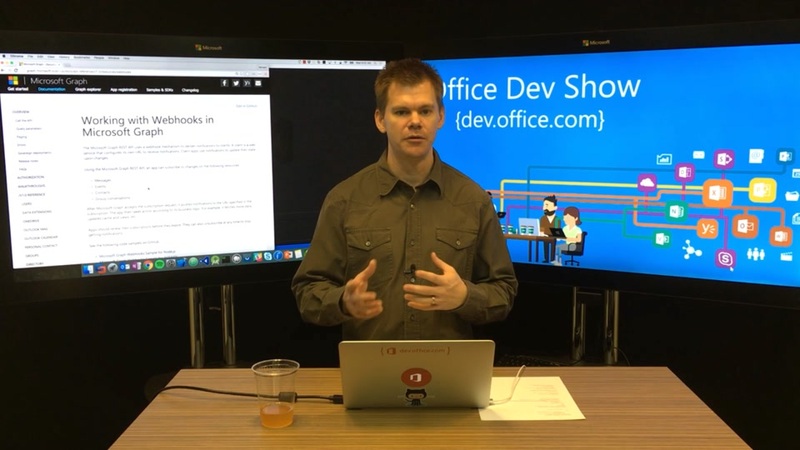 In this episode of the Office Dev Show, Richard explores how to build webhooks against the Microsoft Graph. Webhooks are a powerful way to get notified about the changes in the services behind the Microsoft Graph. Skype recording of the Office 365 Developer Patterns and Practices (PnP) June 2016 community call. This post is a part of a series focused on building SharePoint extensions using NodeJS. The aim of this series is to provide a guide on how to build cross-platform SharePoint solutions. Learn about the components and concepts of SharePoint Server 2016 workflows. In this article Tim Campos, CIO of Facebook tells why they are adopting Office 365. This article is a review of Kendo UI by Progress through an example of creating the user interface for a SharePoint Online site, part of the Microsoft Office 365 Suite. These stencils contain more than 300 icons to help you create visual representations of Microsoft Office or Microsoft Office 365 deployments including Skype for Business, Microsoft Exchange Server, Microsoft Skype for Business Server, Microsoft Lync Server, and Microsoft SharePoint Server. Office Delve for Windows 10 Preview has been announced. You can also read one of the earliest reviews in this blog post. An anouncement by the Office 365 team on the current state and the future of SharePoint document libraries extensibility. In this episode, Richard DiZerega is joined by former SharePoint MVP and new Microsoft employee Tom Resing about weekly updates and his new role at Microsoft. MS Press announced the availability of the new free ebook, Configuring Microsoft SharePoint Hybrid Capabilities (ISBN 9781509302437), by Jeremy Taylor, Neil Hodgkinson, and Manas Biswas. In this episode of the Office Dev Show, Richard diZerega explores how to connect to the Microsoft Graph from an Angular 2 and TypeScript project. In this episode of the Office Dev Show, Richard diZerega explores how to build a Cordova mobile application using Ionic 2, Angular 2, and TypeScript. This provides a great platform for multi-platform mobile development. In this article Dennis Hobmaier will describe built-in archiving functionality in SharePoint/Office 365. You will read about how you can use Site/Library based retention to fulfil company or legal requirements. The Deploy SharePoint with SQL Server AlwaysOn infographic from Microsoft provides a really good visual representation of how to design a SharePoint solution in Microsoft Azure. Thus Pluralsight course by Vlad Catrinescu, SharePoint and Office 365 MVP, will help you to learn how to configure a hybrid infrastructure in either SharePoint 2013 or SharePoint 2016. With this IT Showcase course you will gain insights into the best practices Microsoft uses to plan, design, deploy, and operate SharePoint as a strategic collaboration platform both on-premises and in the cloud. In this episode, Richard diZerega and Andrew Coates talk to Paul Stubbs, principal content publishing manager, about his team and the great samples and documentation they are producing. Microsoft released three new features for Office 365 consumer, work and education subscribers based on the feedback received by the company. These features are now available in Sway on the web, and it will soon roll out to the Sway app for Windows 10 in the coming months. Microsoft Flow, the company’s recently launched workflow management tool, has now arrived on mobile in the form of an iOS application. In this video you will learn 20 unique techniques on how to improve SharePoint User adoption. Slidedecks from the SharePoint Saturday Paris 2016 event. This show demonstrates how to get started with creating plans, assigning tasks and the things you can do while working through a plan. Five years ago (June 28, 2011), Steve Ballmer launched Office 365 with much fanfare at an event in New York City. Microsoft needed to revamp its tired cloud offering because the much-maligned Business Productivity Online Services (BPOS) never met the required bar in terms of functionality, reliability, and performance. Microsoft’s Office 365 platform is being subjected to a ‘massive attack’ by a nasty piece of ransomware dubbed Cerber. Read the article to find out more. In this article Sahil Malik shows how to build a simple Angular2 application that leverages APIs protected by Azure AD. Azure Multi-Factor Authentication helps safeguard access to data and applications while meeting user demand for a simple sign-in process. It provides additional security by requiring a second form of authentication and delivers strong authentication via a range of easy verification options. TypeScript Item Starter template that makes it easier to create and use Display Templates when you don’t have publishing enabled at Site Collection level. Learn how to use SPCAF from Tobias Zimmergren, MVP Office Services and Servers.